In SR flip-flop when the conditions SET and RESET both are 1 that condition is known as a forbidden condition. This tries to change the both Q and Q’ to be 1 and whichever will turn 1 first will further control the latch which is certainly we don’t want. 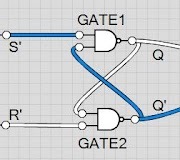 This can be avoided when both S and R inputs are short-circuited with a not gate in between. This prevents the forbidden condition of S and R to be 1. This combination is what we call D – Flip Flop. Thus we require only single data known as D for this FF. The output Q changes whenever D is applied with any input bit. Whenever the clock goes from low to high i.e. 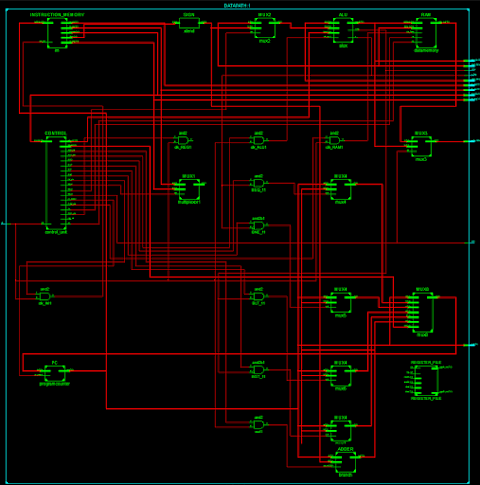 posedge the input is read and fed to the output. Whenever the clock goes from high to low i.e. negedge the previous output is retained back or in easy words, it remains the same. 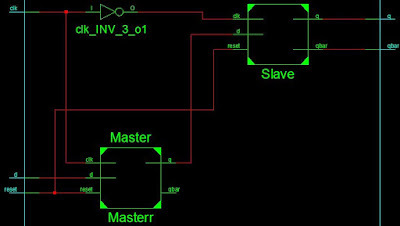 The basic D Flip Flop is improved using a Master-Slave condition. Here two D flip-flops are used and the clock of Master D FF is inverted and then fed to the clock of the Slave D FF. The output Q of Master FF is fed to the input D of Slave FF. 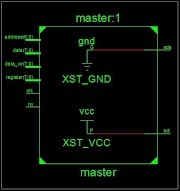 Thus when the clock goes low to high the Master reads the input and stores the output. During this phase, the Slave FF remains locked. When the clock goes from High to low the Slave FF gets activated and the Master gets locked. Since during negede Master retains the output thus it acts as input for Slave and output is obtained. 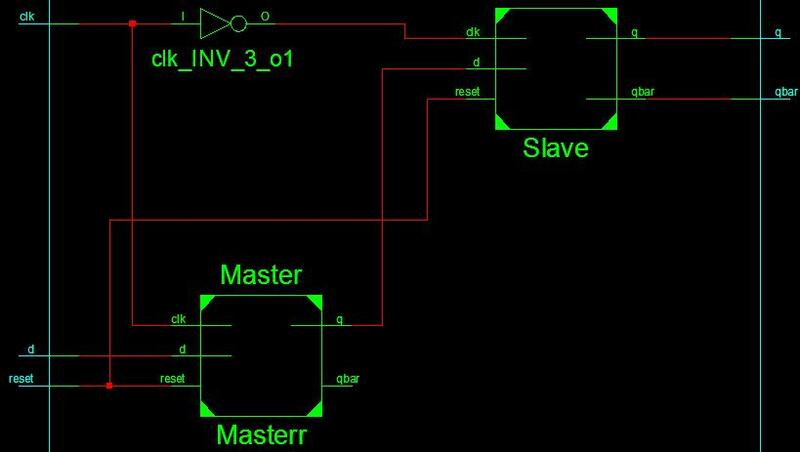 Master-Slave condition is used because it avoids the race around the condition of toggling output multiple times in a single clock cycle.